From classy kitchens to dazzling decor, marble is making its mark on home design. And it's easy to see why. This natural material is sleek, sophisticated, and super versatile. As such, it plays well in all sorts of stylish spaces. In need of some inspiration to create your own spa-like sanctuary? 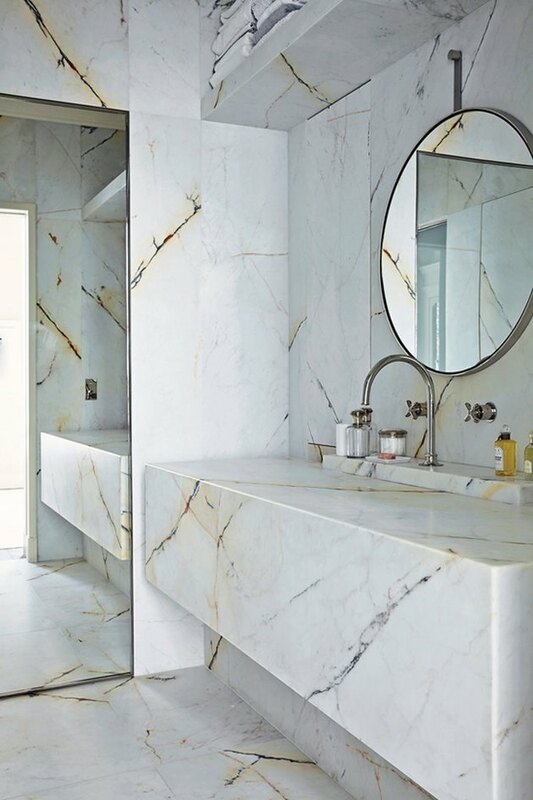 Scroll on for 12 beautiful marble bathroom countertops. From Le Creuset cookware to granny tiles, millennial pink was everywhere in 2017 — and continues to wow a year later. 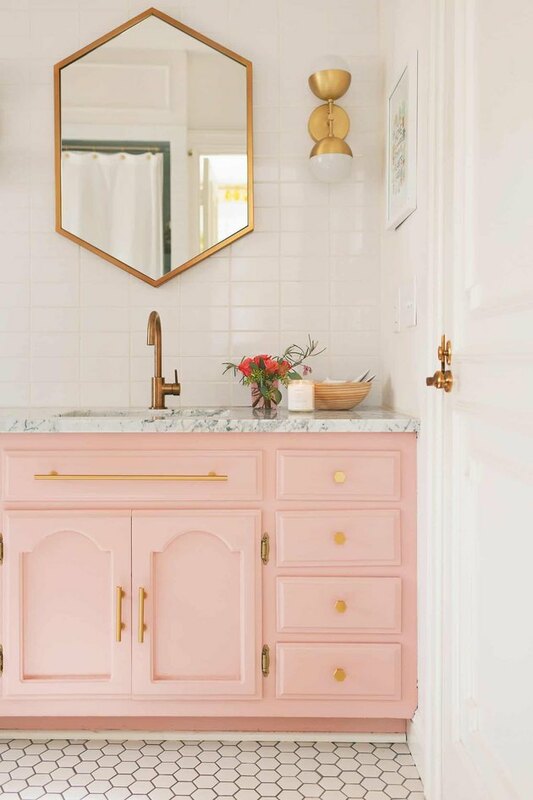 Elsie Larson explores the perks of this happening hue in her guest bathroom redux that pairs a pretty blush vanity with brass hardware and marble. 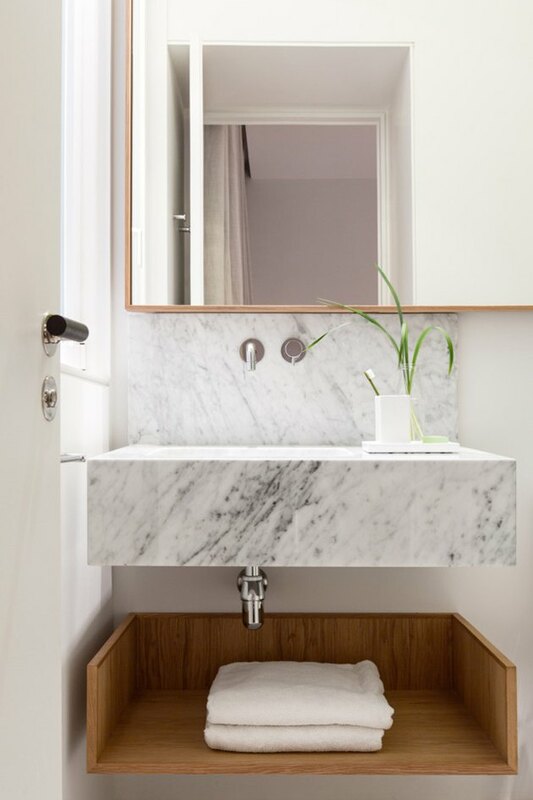 The show-stopping salle de bains in this Parisian apartment stands out with floor-to-ceiling marble. The distinct composition is so vibrant and alive. 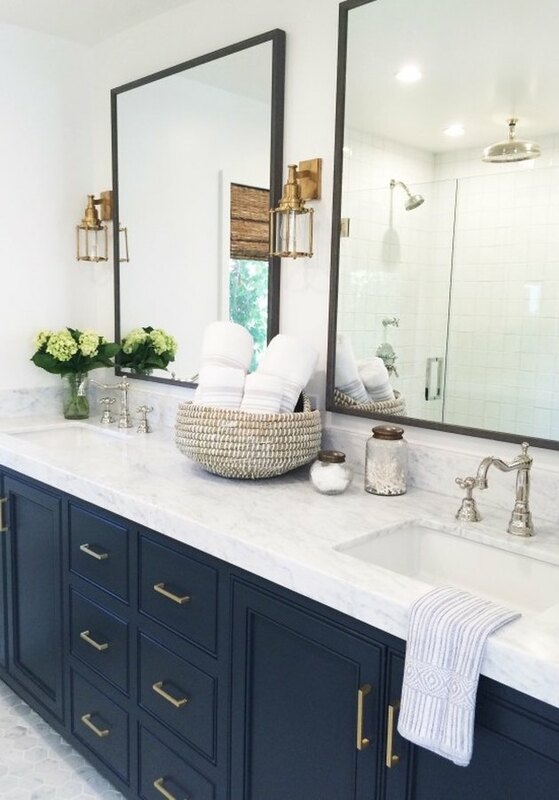 Queen Sarah Sherman Samuel upcycled a vintage credenza into a vanity by adding a sleek marble bathroom countertop. 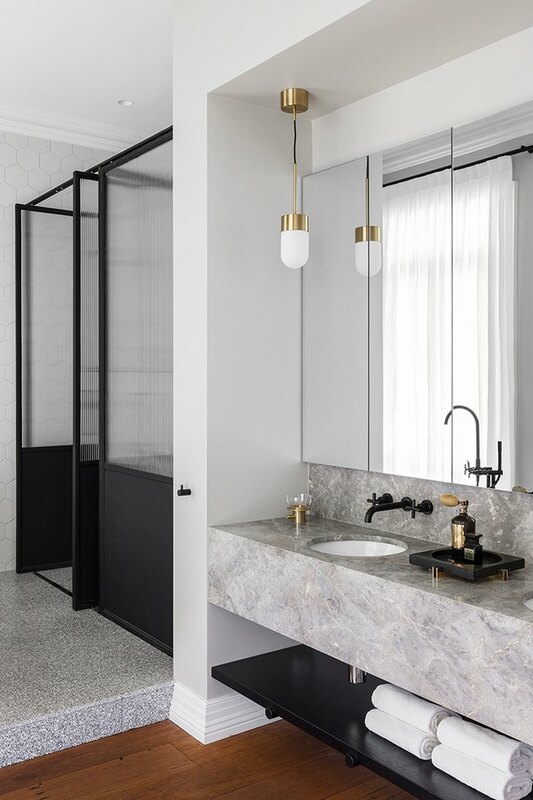 What we love most about this design, however, is the restraint: From the Tetris-like subway tiles to the frameless mirror and simple hanging pendants, nothing tries too hard in this bathroom. We're all about soothing Scandinavian retreats. 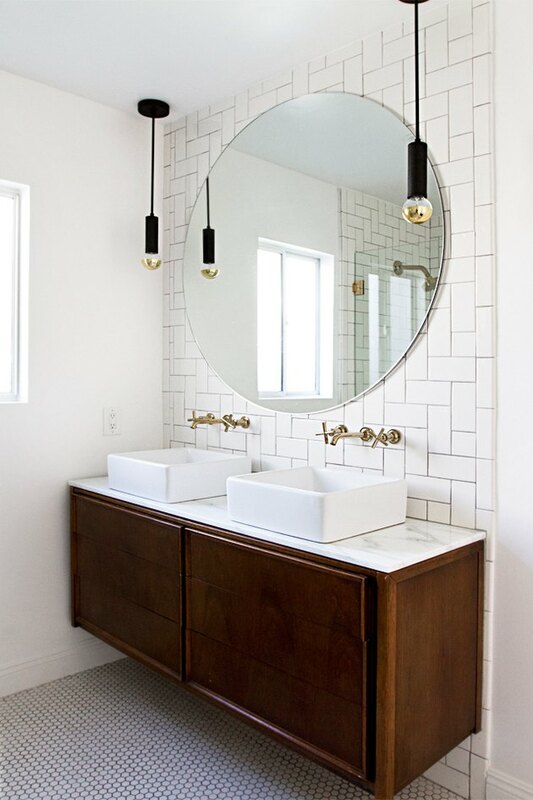 Clean lines and refined elements — marble, light wood —have a starring role in the master bath of this craftsman bungalow. This white and gold refuge boasts a floating vanity, hovering above a mosaic floor. 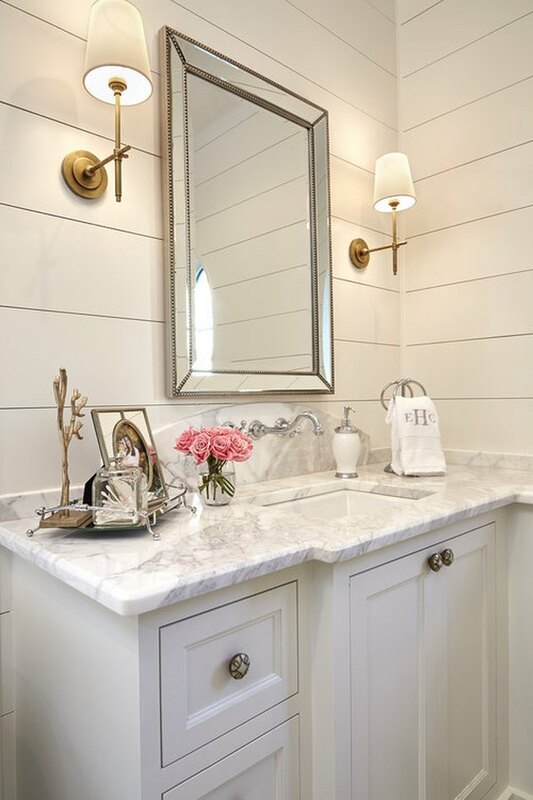 A brass mirror, fixtures, and sconces round out the warm aesthetic. The beauty of this space is in the use of contrasting materials — gray marble countertops, cherry wood floors, and black powder-coated steel. The effect is curated with just enough texture and a keen sense of balance. 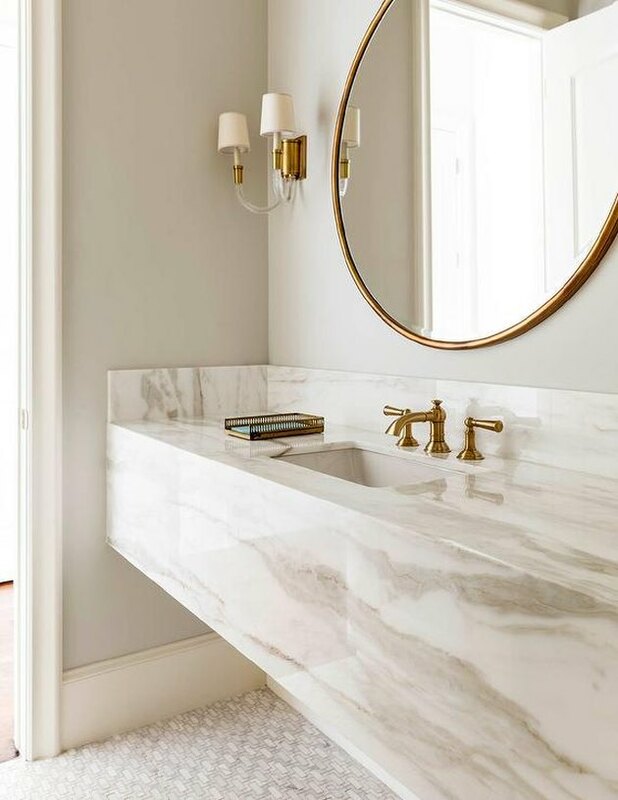 This bathroom cues coastal vibes with white marble and dark navy. Wall-mounted lanterns and a woven towel basket are a subtle nod to the theme. 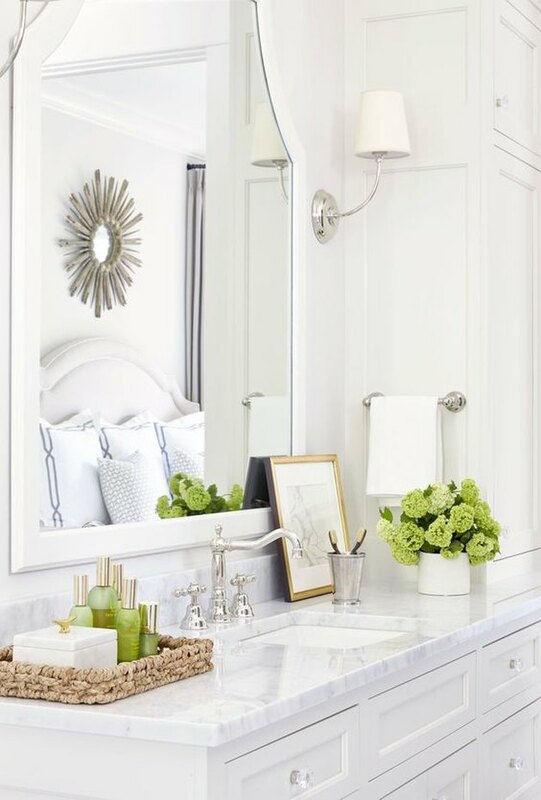 Nashville-based interior designer Sarah Bartholomew keeps the color scheme in this ensuite crisp, with shining marble bathroom countertops and accessories that are fresh and bright. An elevated interpretation of bucolic, this country-chic bathroom comes together with muted hues. Gray wood panels and white tile offer mellow contrast on the walls. A plaid shower curtain and personal touches enhance the homey effect. The combination of white tile and taupe shaker cabinets take these marble countertops to the next level. 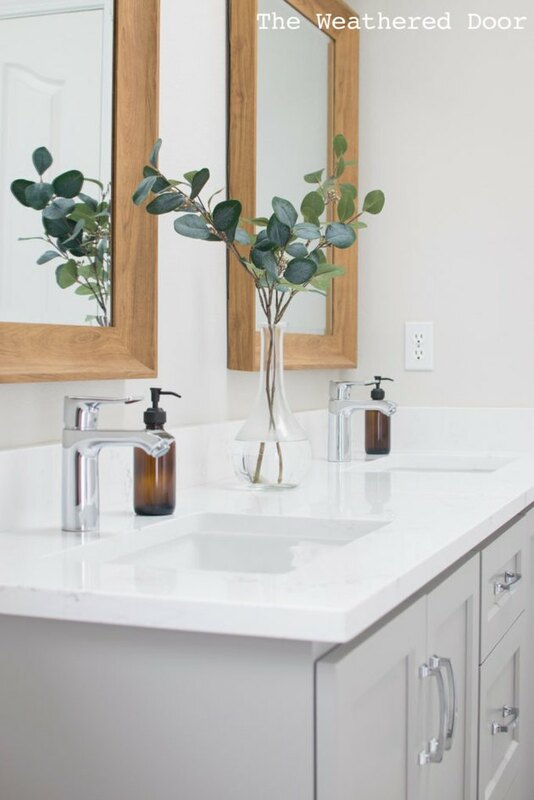 Amber glass toiletries and a vase filled with eucalyptus lend an earthy touch that complements the wood framed mirrors. Seeking a wallet-friendly alternative? Consider formica. 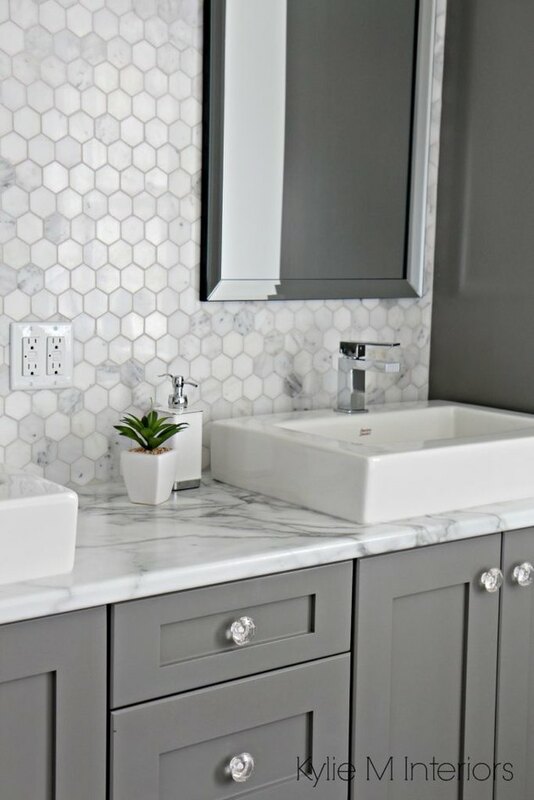 Kylie M. Interiors employs a monochromatic gray palette and polished finishes that make this imposter indistinguishable from the real thing.